In arboriculture, storing your tools is an important part of keeping them healthy and functioning properly. For storage that is always evolving and innovating, choose Armorgard. 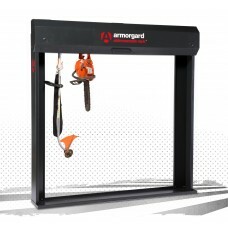 Amorgard is a company with almost thirty years of experience in providing professional machinery storage. Each of their products has a range of exciting security features and clever mechanisms that make them more portable and easy to erect. At the moment, Sorbus stock a selection of Amorgard’s most popular products: the 120L Fire Resistant Flambank, the Strimmersafe Rack and the Strimmersafe Vault. Each unique item is exclusive to Amorgard and is packed with innovative security features. Their products are designed and produced by expert mechanics and engineers, who pride themselves on their attention to detail and in-depth knowledge of the craft. 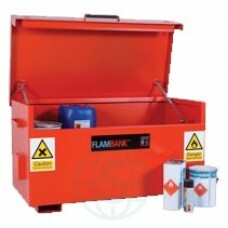 Storage for your forestry tools is vital for security reasons. Quality equipment like that which is sold by Sorbus is often worth a lot of money and you don’t want to risk it being stolen or misused, or damaged by the elements. Amorgard prides itself on delivering storage that is extremely tough, if not indestructible, that is known throughout the industry for its toughness and durability. They set the benchmark high in terms of quality, as every single item goes through rigorous checks to ensure it’s up to their own professional standards. Their clean lines and simple design make all their products extremely accessible and practical; exactly what you need from a storage system. Amorgard are always searching for new ways to improve and innovate: that’s why their consultants are often seen investigating in the field. They visit construction sites and industrial environments regularly to find out what more they can do to deliver excellent storage solutions. 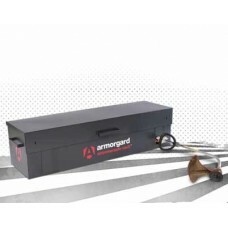 Opt for Amorgard, and your security and that of your equipment will be in good hands.